Click Now For Your Free Estimate! Click for a Free Estimate! The leading St Louis roofing contractors offering the top brands of products to homeowners and business customers. When choosing from the top roofing companies in St. Louis Missouri it's important to select roofers with the necessary expertise, experience and equipment to complete your project professionally and affordably. With the highest quality services on the market, Storm Solutions remains the St Louis roofing company that area residents trust to protect their homes and commercial properties. 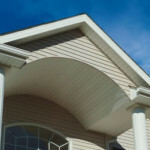 Our company handles everything related to your roofing system. From a new roof or simply roof repair. Roofing estimates are free and our roof damage assessment will provide you with visuals of the damage we find. When it comes to getting professional roofing work done on your home, you want someone that understands your family’s needs and who will work hard to get your family home back to normal again. Storm Solutions Roofing is a local St. Louis roofer and a company that has been in business for a decade. We live here and work here - we’re not going anywhere. We help St. Louis families keep a roof over their heads. Storm Solutions Roofing is here to stay. We are your neighbors. Our roofing company receives 50% of its business through referrals from happy customers. We have a vested interest in making sure your roofing job is done right - and that you and your family are happy.